I'm just getting back into paintball after a five year hiatus. I also know that my Spyder E99 Avant is very outdated, so I'm planning on getting a NEW 2012 Spyder Fenix. I was thinking on modifying it to make it more accurate and a helluva lot quieter. I would like to know your thoughts on the way I am going to set this up. 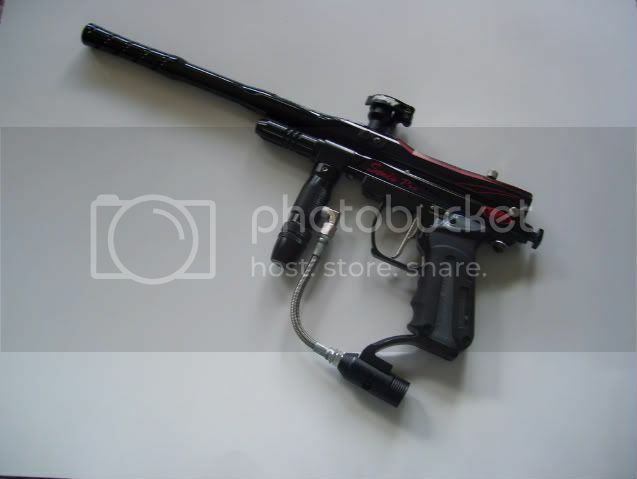 I plan on getting a hush bolt and a spyder HI-FLO valve kit, I'm unsure of what barrel should I get? I don't wanna get too expensive. CP makes good barrels but the size bore is dependant on the size of the paintballs you use. A good barrel will make a marker quiet. A Hush bolt... meh. Not so much, it's all in the porting on the barrel. It will help, just not as much. I'd personally get either a CP or UL. UL is quieter IMO, but CP isn't far behind it. As far as efficiency goes, there's not much you can do on a newer Spyder except for properly tuning a regulator.